Marching on behalf of ones country and service is one of the proudest achievements for Veterans. However, thousands of Vets every year are unable to participate in the march, due to illness, injury, or being unable to attend. 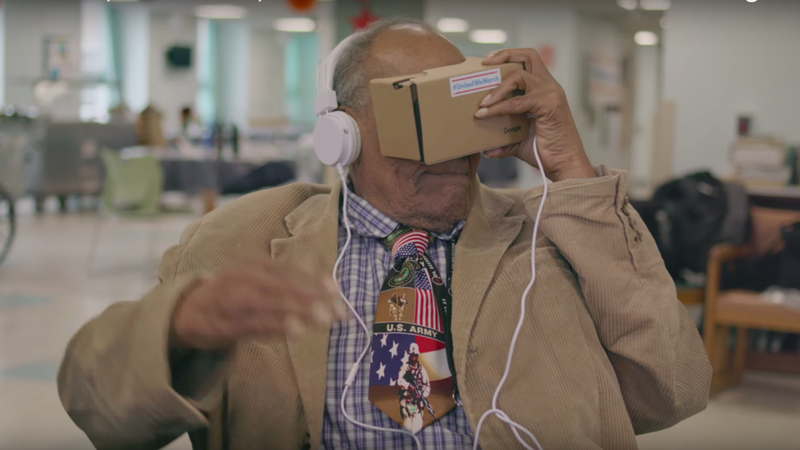 On Veterans Day 2015, veterans in VA hospitals across the country virtually marched in the nation’s largest Veterans Day Parade using Google Cardboard and 360 video. 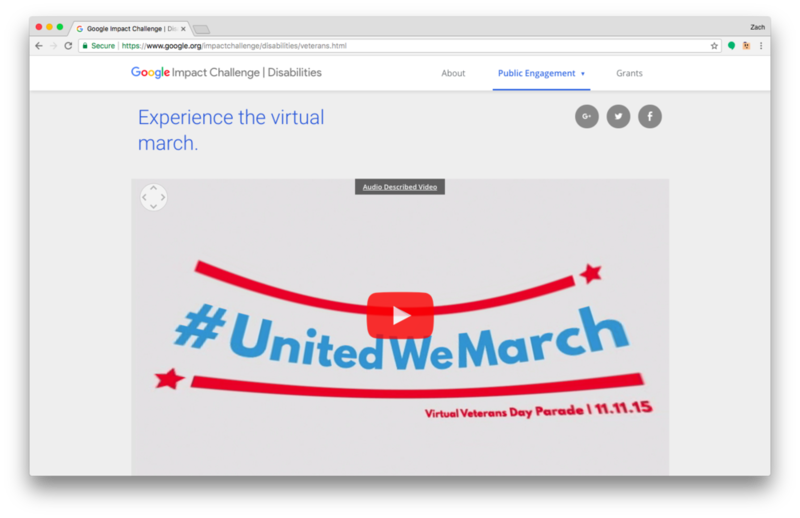 During the one day campaign, Google utilized Google Cardboard, Youtube, and their android-specific mobile Youtube App (the only app with virtual reality capabilities at the time) to 360° live stream the march to more than 4000 veterans unable to attend with disabilities and those unable to travel. 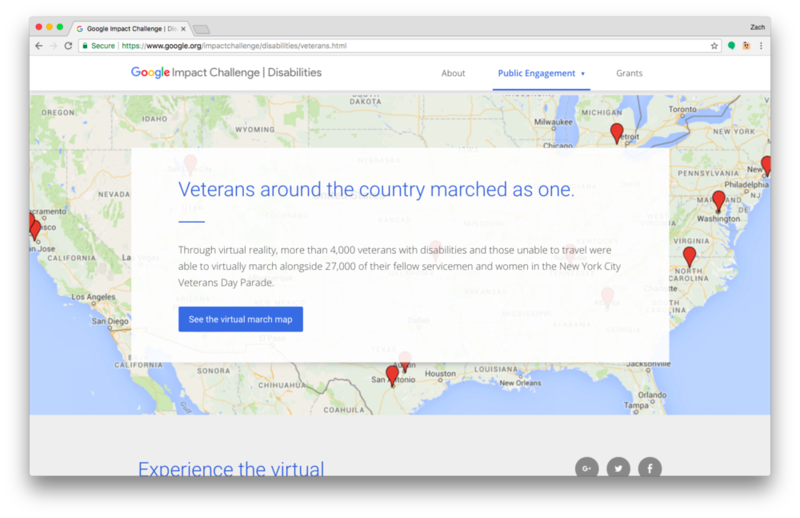 This streaming allowed viewers to virtually march alongside 27,000 of their fellow servicemen and women in the New York City Veterans Day Parade. The 360° viewing experience was a centerpiece for this project. It was our role to work with our digital team at 72andSunny to research and consult on the best approach for this live streaming experience. 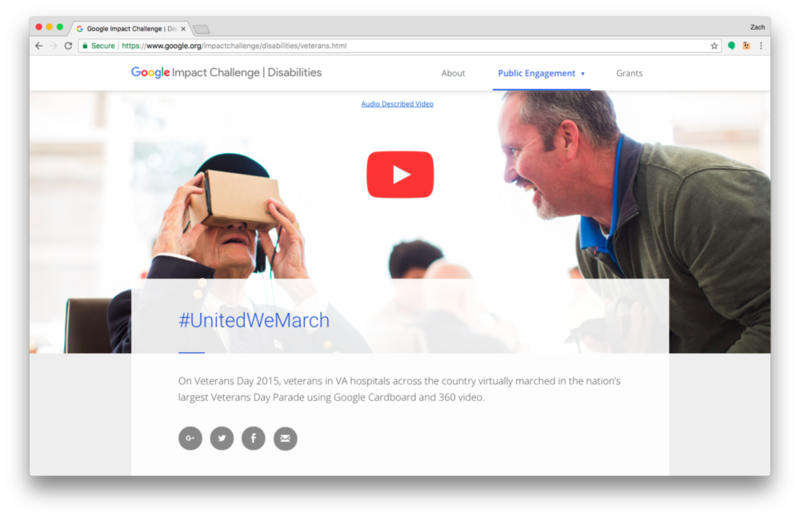 We organized 12 live viewing "marching" experiences for veterans across the United States and created film documenting some of the Vets we were able to assist. As a bonus, due to everything about Google.org striving to be fully ADA compliant, we created all assets under strict ADA regulations. This gave everyone equal opportunity to participate and join the cause!